Oct.16 More than 100 dead after earthquake hits the Philippines Map of Bohol Philippines The death toll from 7.1 earthquake rose to 144. The quake injured 291 people and rattled many celebrating a religious holiday. 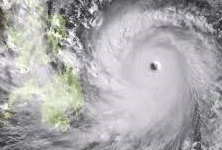 Nov.12 800,000 displaced by typhoon: U.N.